It never is good to hear from your eldest son, in the middle of the night, the words, "Dad, I hit something..."
Oh of course not only was it the middle of the night, but it was also a dark and stormy night this summer when Dopey, arriving home from work in the wee hours of the morning, comes barging into our bedroom, where I might add the Prince and I are soundly sleeping.... and clears his throat. Dopey, clears his throat, and awakens us, with "Dad, I may have hit something on the way home tonight." "What?" responds the groggy Prince. "You either hit something, or you did not hit something, there is no "might" about it." Dopey goes on to recount that as he was driving home, at "an appropriate speed" for the weather conditions (pouring rain) on the main road to our house, he thinks he hit something in the road. I am now fully awake. "How do you know you hit something?" He replies that he knows that he hit something because he felt it on the side of the car. So of course my next response is, " was it an animal or a person?" "What did you hit?" 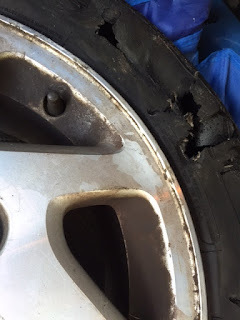 "Oh no, not either of those things he replies as he continues to tell us that when he got out on the side of the road, in the pouring down rain, to look at the car and when he did, he could see his tire was flat. I would venture to say, he did more than hit something... If I were a betting Momma, I would guess he ran off the road in the rain and scraped up against something.... or there was debris on the roadway that he did not see because of the rain and ran in or through that.... Needless to say, flat was an understatement. Flat in my mind means, it can be repaired. Like a nail in the tire. Or a pinprick that slowly leaks. Not this. This was shredded. 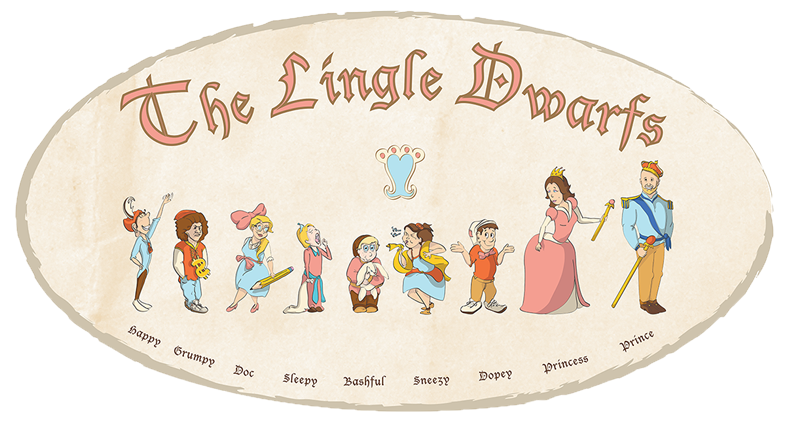 In this situation, Dopey has the joy of learning a few life lessons. One tires are expensive. You typically can't just buy one without a second for balance of the car. At the very least some of the other tires need rotated around to help achieve the maximum ride and wear and tear on the vehicle. Oh, and he got to learn how to change his tire to put on the spare. 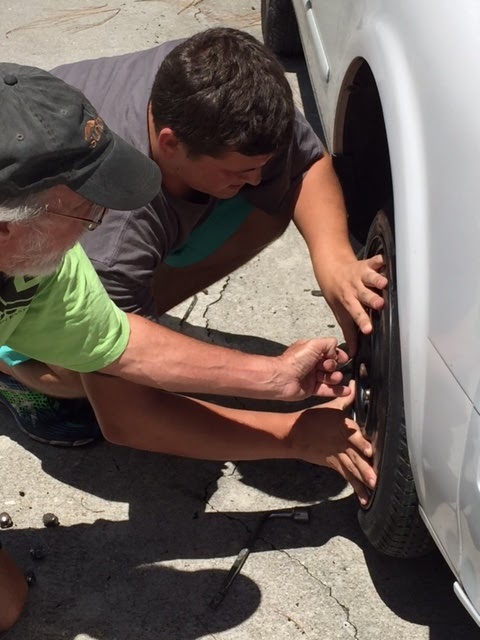 He found out from a neighbor how to find out the identifying information off the tire so that he could have the privilege of calling around for tire prices. Once he secured the best option, he then had the joy of using his hard earned money to replace said flat tire. In the midst of all this I think that Dopey is beginning to understand a few things with a little more appreciation. One is to pay attention when driving period (this does seem to be a struggle for the boy who has had his license less than a year and has had two altercations thus far), another, is to drive under the speed limit in poor conditions, and to always be grateful for the help of neighbors and friends, and your sister, when you are required to change a tire!